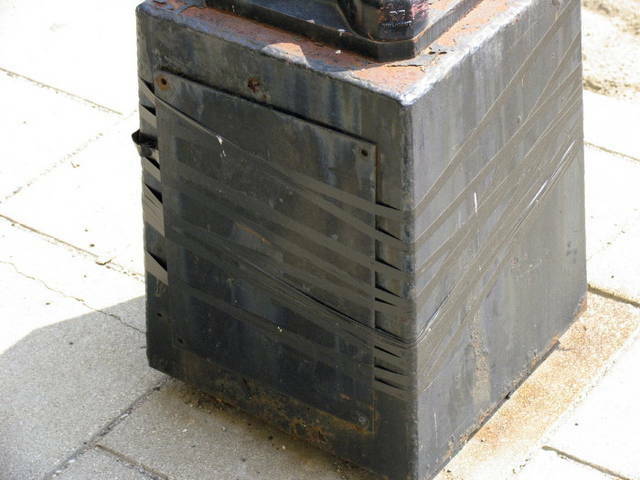 Register Log In ECN Forum Forums Violation Photo Forum Light Pole Access Panel Repair? 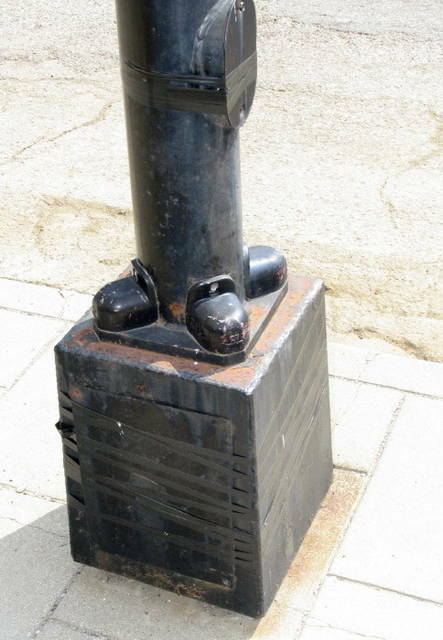 Attached are three photos of a light pole in Louisville, KY. As I was walking to work one morning, I noticed that the access panels at the base of a street light were hanging ajar. The wiring was visible and easily accessible to anyone. Since I work for Metro Codes and Regulations, I know enough to not reach in and grab a handful of energized wires, but any curious child passing by could easily be hurt or killed if they touched a hot wire. I called the utility company to report the pole. I described it, where it was located and the service rep promised that a crew would be out to repair it that day. The pictures are of their repair. 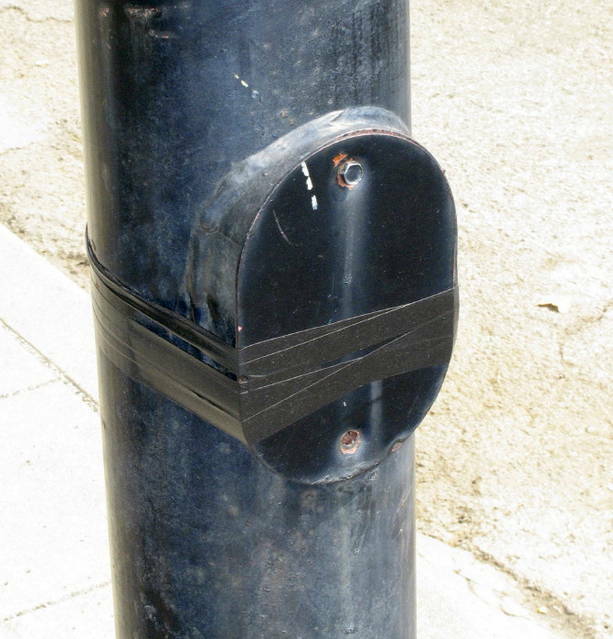 At first I thought maybe they had taped it up for a temporary repair, but the electrical tape has been there for six months, so I guess this is what passes for a "repair" for this utility. I must say the tape has held up well, though. These were taken just the other day, after the tape has been exposed to six months of Louisville weather. Is this a suitable ‘repair’? What a waste of perfectly good tape! Seriously, we see that here all the time, especially in DC where they never seem to have a budget for much of anything except parking enforcement personnel. I must say that what they did in Louisville is about twice of what would have been done in this area. Don't these people have enough skills to use a Tek-screw driver in a cordless drill?